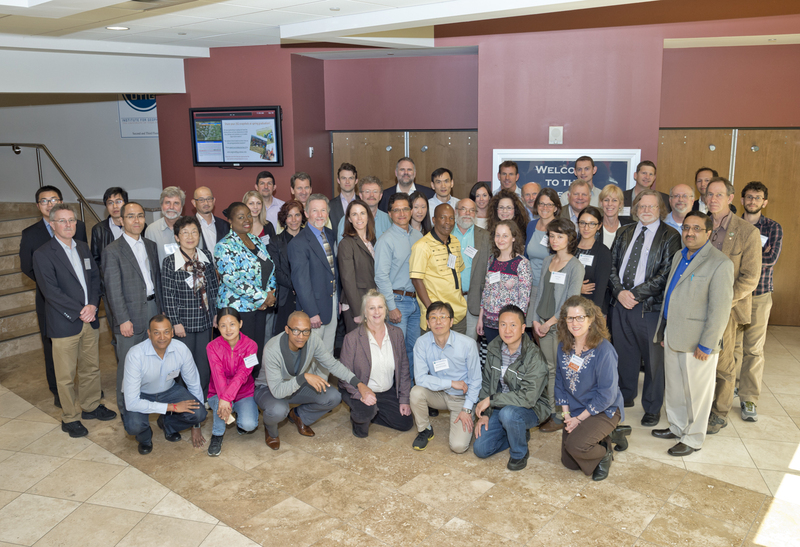 The Gulf Coast Carbon Center was delighted to host the first International Workshop on Offshore Geologic CO2 Storage. GCCC’s Katherine Romanak was instrumental in organizing the workshop with IEAGHG’s Tim Dixon, who is currently an Honorary Senior Research Fellow at BEG. 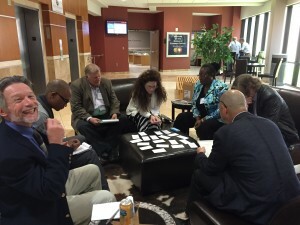 The workshop evolved as an outgrowth of BEG’s interaction with the Carbon Sequestration Leadership Forum and IEAGHG. In addition, Tony Surridge from the South African National Energy Development Institute was a co-host. 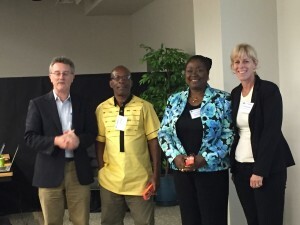 The workshop made a notable historical mark as the first carbon sequestration-related effort to take advantage of the new financial instruments provided by the United Nation’s Climate Technology Centre & Network, which provided Funding for Joseph Essandoh-Yeddu from Ghana and Felicia Mogo from Nigeria to attend. The aim of the workshop was to develop the first global needs assessment for offshore carbon storage. Its goals included initiating a discussion about the various aspects of offshore transport and storage; building an international community of parties interested in offshore storage; and facilitating countries to identify their specific issues, challenges, and opportunities. Topics of interest identified by the attendees included transitioning from pilot project to full-scale deployment; funding and finance; accelerating knowledge and technology transfer; regulatory development; infrastructure; and public engagement. Participants identified and defined synergies, common gaps, and goals in each of these areas, and action items, including future workshops and potential projects, were developed. The workshop included two days of keynote addresses, presentations by individual countries, and collaborative discussion. 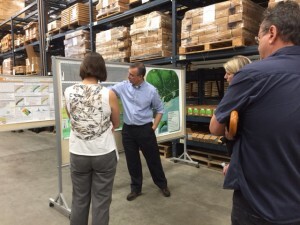 The attendees also took part in a half day Expo that included a tour of a pilot capture facility, a visit to the Bureau of Economic Geology’s core repository, demonstrations, and a poster session. For a complete report of the workshop, please click here. Posted in Juli Berwald.Tagged Carbon Capture, CCS, Knowledge transfer, Outreach, Policy.